Universal Racing Seats for racing fairings tails are for only track use, without seat plate and with "velcro" fixing system. These Seats are made with a light sponge covered with a 3mm layer of special High Density Mousse like the seats choosen and used from a lot of racing Teams in MotoGP, Moto2, Moto3 and SBK for their best riders. 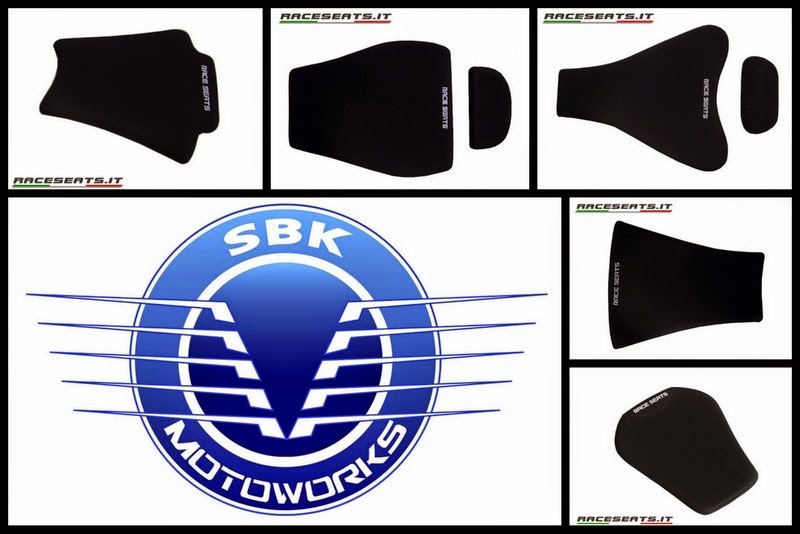 HDM is a special material which comes from competitions and is the best for racing motorbikes. It guarantees a perfect grip and improves the motorbike feeling also in wet conditions. It is less subject to usury than traditional neoprene seats. Velcro fixing system, permits an easy removal and reuse on a different fairing tail.